There is something about the Labour Party that makes otherwise rigorous left-wing thinkers misplace their critical faculties. Guardian columnists, radical academics, authors of pungent essays for the New Left Review: all are liable to lapse into an unilluminating moralism when the discussion turns to British party politics. Where such writers deftly place the latest American elections or the rise of socialism in Latin America in their structural economic and social contexts, in the same hands the foibles of the Labour Party are portrayed as the result of a parliamentary elite who self-interestedly and stupidly choose to accommodate themselves to the status quo. If only Labour MPs for once resolved to act morally and intelligently, runs the implicit argument, then a truly radical Labour government could at last take office. But, as Marx famously observed, political actors do not make history ‘just as they please in circumstances they choose for themselves; rather they make it in present circumstances, given and inherited’. [i] A full analysis of the frailties of British social democracy must therefore also consider the social influences that structure the decisions of Labour MPs, rather than confining itself to the apportionment of moral praise or blame. [ii] This intellectual blind spot reveals an ideological weakness of the newly insurgent hard left: a refusal to confront honestly the political implications of the kind of society that Britain has become since the 1970s. The election of Jeremy Corbyn as Labour leader has promoted the need for such a reckoning to the top of the political agenda. Whether the Conservatives will remain in office until 2025 will be in part determined by whether those energised by Corbyn can formulate a political strategy that understands Labour’s predicament in terms that go beyond the personal fallibilities of Tony Blair. 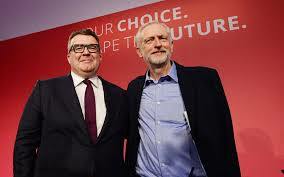 In one way, a suitably hard left analysis of Britain today is easy to come by – and is in many particulars correct. A staunch condemnation of the social divisions and inequality fostered by neo-liberalism has been a staple of the oppositional discourse fostered by those on Labour’s left for many years now. This discourse contains a perceptive account of the material contexts that shape Britain’s party political superstructure. Yet if this account is taken seriously, it becomes simultaneously harder to understand how the Labour left proposes to overcome the obstacles that confront social democracy in Britain today and easier to see why Labour’s elite have recently favoured a more centrist political path. Those on the hard left fail to follow their materialist analysis to its logical conclusion: that social conditions make a quest for a more socialist Britain very, very difficult. Which social conditions inhibit the building of a more equal and democratic Britain? Economically, it is virtually a cliche to recite the structural shifts that have remade Britain’s industrial landscape: the loss of large-scale manufacturing, the rapid rise of service sector employment, the vast economic power now wielded by international finance, the seemingly inexorable decay of workplace solidarities and collective bargaining. What is immediately striking about this familiar litany is just how sweeping and historic these economic changes are: they represent fundamental realignments in the domestic and global organisation of production and consumption; in class structure and identity; and ultimately in the distribution of economic power. The radical left is quite correct to argue that many of these changes have strengthened the power of capital at the expense of labour. [iii] But how, it might reasonably be asked, can the flimsy organisation that is the modern Labour Party, even afforced by extra members and even were it to gain control of the British state, fundamentally remake this new economy? The Labour Party has never in its history undertaken such a task. The 1945 Labour government worked with the grain of the industrial economy revived by wartime production, inherited from total war an exceptionally wide range of economic controls, faced little challenge from a war-ravaged City of London, and derived its social legitimacy from a large, popular trade union movement and ultimately a numerically dominant industrial working class. The Labour Party of the 1940s positioned itself adroitly to benefit from this economic and social context but it did not create it. No matter how adroit Labour’s positioning today, the party lacks a comparable set of structural advantages for any socialist economic reform programme. Consider a second element of the left’s accurate diagnosis of contemporary Britain: our partisan media. As the 2015 election showed, the Labour Party usually finds it harder than the Conservatives to communicate its political message because it lacks the megaphone of a compliant popular press. This is particularly true when Labour prioritises policies that challenge the existing distribution of power and wealth. Such policies are systematically lampooned or drowned out by trivia. The press coverage in turn shapes the agenda of the less partisan broadcast media. In this way, British democratic debate is distorted by the interests of a few wealthy newspaper owners and journalists. However, this also means that Labour has to think strategically about how to enable voters even to hear its message in the first place. Complaining about press bias on Twitter and Facebook is not enough. In the long run, perhaps the rise of the internet and social media does presage a structural shift in political communications but for the next electoral cycle – the horizon within which Corbynism must make some progress – Twitter and Facebook will usually be echo chambers, while the voters that Labour must reach are exposed to politics chiefly through broad brush impressions fostered by the mass media. This inevitably constrains the sort of political message that Labour should transmit if it wants its agenda to resonate among the public. From what we have seen so far, Jeremy Corbyn’s leadership simply offers the right-wing press too easy a target. This brings us finally to the electorate itself. As the left rightly reminds us, we live in a consumer capitalist society with limited opportunities for political socialisation and participation. Most voters consequently view politics as an unwelcome intrusion into their lives and regard grand schemes for social improvement with scepticism. The reasons for this are complex, and may ultimately be susceptible to long-term social and cultural change. But no matter how much of an outward-facing social movement Jeremy Corbyn transforms the Labour Party into, the basic problem of motivating public support for a social democratic agenda remains the same as it has been for three decades now: how to persuade voters concerned about their family’s living standards that greater collective provision will benefit them? [iv] The more ambitious the anti-austerity social democracy that is proposed, the greater the burden of proof becomes, in part because of the greater need to increase taxes. The nature of the neo-liberal poison pill bequeathed by the Thatcher government is that the tax base of the British state is too narrow to support the level of redistribution and public services that social democrats desire. Yet to raise significant revenues in a progressive fashion would require not just higher taxes on the super-rich, but also higher marginal income tax rates for middle and upper earners, a political feat largely deemed impossible by Labour politicians after 1997. [v] So far this even seems to be regarded as a hard constraint by Jeremy Corbyn and John McDonnell, since their emergent fiscal strategy appears to target the wealthy and corporations. [vi] Either way, Labour faces long years of hard questions about how it will fund its anti-austerity fiscal stance, questions that will be ruthlessly and at times mendaciously used by the government and press to sap Labour’s status as a defender of the living standards of working people. In the face of such an onslaught, it will be at best an uphill struggle to persuade an insecure electorate that a greater role for democratic politics in running the economy is a desirable break from free market orthodoxy. To each of these three constraints New Labour had a clear answer, based on conceding some ground to the right in order to focus on other fronts where recognisably left of centre policy goals could be advanced. This is not to say that New Labour politicians judged these compromises correctly in every case – they did not – but it is to note that the architects of the Blair and Brown government had at least thought about the politics of power in some depth. Jeremy Corbyn’s supporters have not yet shown that they are thinking deeply enough about how a Labour Party led from the hard left can overcome the obstacles to achieving their political goals. They owe those of us who do not want to live under a Conservative government until 2025 – and all that implies for the welfare state and public services – a serious analysis of how a radical Labour Party can draw on actually existing social forces. In the absence of such an analysis, it is hard not to worry that the Labour left is ultimately confecting a major setback for the cause of a more equal and democratic Britain. [i] K. Marx, The Eighteenth Brumaire of Louis Bonaparte , in T. Carver, ed., Marx: Later Political Writings, Cambridge, Cambridge University Press, 1996, p. 32. [ii] A similar point was also made by Martin McIvor after Labour’s 2010 election defeat in an analysis to which I am indebted: ‘The lessons of power’, Renewal, vol. 18 no. 3/4, 2010, pp. 6-8. [iii] For comprehensive evidence of this point, see A. Offer, ‘British manual workers: from producers to consumers’, Contemporary British History, vol. 22 no. 4, 2008, pp. 538-71. [iv] On Corbynism as more about movement-building than conventional electoral politics, see J. Gilbert, ‘Corbyn – what’s a leader really for?’, OpenDemocracy, 1 December 2015, https://opendemocracy.net/uk/jeremy-gilbert/corbyn-whats-leader-really-for; J. McDonnell, ‘Labour can be the most powerful force for progressive change in generations’, Guardian, 5 December 2015. [v] A. B. Atkinson, Inequality: What Can be Done?, Cambridge MA, Harvard University Press, 2015, pp. 179-91, 281-99. [vi] C. Giles, ‘How to be hard left without being stupid’, Financial Times, 26 August 2015.